As the railway network around London expanded in the 19th century so too did the metropolis. 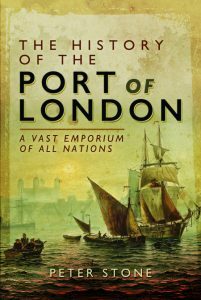 The growth of London was unprecedented at that time anywhere or at any time in history. In 1801 the population stood at less than a million. A hundred years later it had swollen to over six and a half million including the suburbs, twenty percent of the population of England and Wales. It had grown in every direction to be the largest and most highly-populated urban area in the world. By the latter part of the century numerous railway companies had created networks that spread to all parts of London’s suburbs and the wider country beyond. The first lines from the capital were generally created with modest termini but as the century continued they were replaced with vast new sheds such as those at Euston, Paddington and St.Pancras, some with palatial hotels attached. There was an exodus, with less people living in the City and Westminster than previously but vast numbers commuting from the suburbs daily to the central areas. In the early part of the century middle classes living in new suburbs close to London such as Pimlico, St.John’s Wood or Tyburnia were able to travel to work in the centre of town or to other districts by omnibus. In the second half of the century it was possible to make longer journeys from more distant suburbs. By 1900 London stretched approximately ten miles from north to south and the same distance east to west. Many of its suburban districts were effectively small towns in their own right. Within the commercial centre there was severe traffic congestion. Despite the great difficulties faced by Londoners on a daily basis to move about very little action was taken to make improvements in the thirty-year period between the 1820s and 1850s. The situation became even worse from the 1850s when new train termini were built around the edge of central London without any through rail routes, causing additional traffic as passengers were forced to take to the roads to travel across town from one station to another. In the second half of the century major new road schemes were created to both ease traffic congestion and make improvements to London by clearing slum districts. However, no provision was made for rehousing those who were displaced by the clearances and most of those people simply moved into even more crowded areas nearby. In the mid-1880s there were over twelve thousand omnibuses operating on London’s roads, carrying around forty million passengers per year. They had revolutionised transport for the average person in the capital, who was now able to work more than walking distance from their home. In the 1870s horse-drawn trams began operating, which ran on rails and could carry up to fifty people. The subsequent lower fares made trams affordable for the lower working classes who previously had to live close enough to their place of work to be able to walk. A number of routes were introduced, transporting workers to and from suburbs. By 1855 it was clear that the idea to limit the building of railway termini within central London was flawed and a method was needed to transport the public across the capital from one terminus to another. The first underground railway to link them was opened by the Metropolitan Railway Company between 1863 and 1865 linking Paddington, Euston, Kings Cross and Liverpool Street stations. The line, which carried steam trains similar to those on the above-ground railways but lit inside by gas lights, was laid by clearing a cutting from the surface and then covering to form a tunnel just below ground. It was an instant success, carrying nearly nine and a half million passengers in its first year. The new Thames embankments also created the opportunity to build the District railway. The first electric underground railway line, known as ‘the Tube’ was opened between King William Street, close to the Bank of England, and Stockwell in 1890. It was also the first to be tunnelled, using a tunnelling machine rather than the previous cut-and-cover method. The first underground line to service the West End was the Central line, which was opened by the Prince of Wales in 1900, initially from Shepherd’s Bush to Bank.